How does a hand of Omaha Hi / Lo play out? Omaha is similar to Texas Hold'em, except players are dealt four hole cards instead of two. Your goal is to make the best five-card hand but you must use two of your hole cards and three community cards. No exceptions. Because players start with four hole cards, the average winning hand is much higher than Texas Hold'em. Omaha Hi/Lo is a split-pot game in which half the pot is awarded to the best high hand and the other half is awarded to the best low hand, if one qualifies. A qualifying low hand is five unpaired cards 8 or lower; straights and flushes do not matter. The best possible low is the Wheel or . Although Omaha Hi/Lo is a split-pot game, your goal is to scoop, which means winning both the high hand and the low hand. That's why a hand like The Wheel is very powerful – not only is it the best possible low, but it's also a straight for high. Limit Omaha Hi/Lo or Omaha 8 or Better is game popular with older low-stakes poker players. It also appears in mixed game rotations at all limits. PLO8 is pot-limit Omaha Hi/Lo. It has been rising in popularity in recent years, especially online. Pot Limit Omaha (high only) is a highly popular and volatile game, especially among high-stakes pros. PLO is also found in many mixed games. You must use two of your hole cards and three community cards. No exceptions! Failing to properly read your hand is the most common mistakes new Omaha players make. So check your hand twice and make sure you use two of your hole cards and three community cards. The blinds are comprised of the two players to the left of the dealer button. 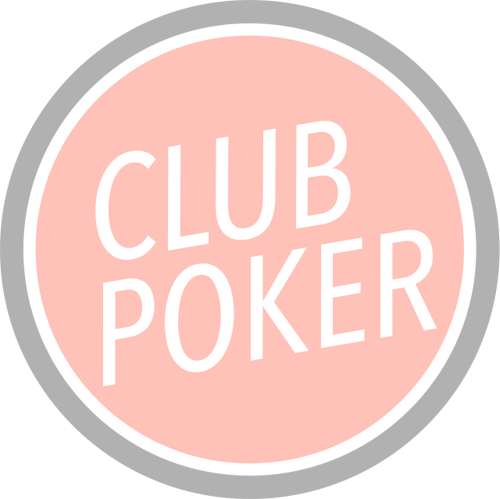 The player closest to the left of the dealer button is the small blind, while the player two to the left is the big blind. The small blind is usually half the size of the big blind. The blinds are forced bets that induce the action by guaranteeing money in the pot on every hand. The blinds move clockwise around the table. Each player is dealt four hole cards down and only the player knows their concealed cards. They must use two of their four hole cards (along with three community cards) to make the best five-card hand. The player to the left of the big blind, otherwise known as “under the gun”, is the first player to act as the action moves clockwise around the table. The first player has the option to call the amount of the big blind, fold, or raise. If a player is facing a raise, they must call, fold, or re-raise. The big blind is last to act. If the pot is not raised and other opponents have only called, the big blind has the option of checking or raising. If the big blind checks, the flop is dealt. If the big blind raises, betting continues until the action returns back to the big blind. If no one calls a raise, the last person to raise wins the pot without revealing their hole cards. Once all remaining bets and raises have been called, the dealer puts out the flop. Your best hand is currently two pair – Aces and threes. You also have a low draw with A-2-3-5. Action starts with the small blind and proceeds clockwise around the table. The dealer (button) is the last to act. Players have the option to check or bet. Once a player decides to bet, those options change and a player can fold, call, or raise. If someone bets out and everyone folds, the original bettor wins the pot. If someone raises and no one calls, the raiser wins the pot right there without revealing their hole cards. If everyone checks, the betting round is complete and action proceeds to the turn. The fourth community card is the turn or sometimes called 4th street. On the turn, you made two pair, Aces and threes. But you also picked up a flush draw and a straight draw. You also have a qualifying low hand with A-2-3-5-6. Once again, action proceeds from the small blind. Players may check or bet. Once a bet is made, any remaining opponents must call, raise, or fold. If someone bets and everyone folds, the hand is over and the original bettor wins. If someone raises and no one calls, the hand is over and the raiser wins without revealing their hole cards. If everyone checks, the betting round is over and the final community card is dealt. The fifth community card is called the river, or otherwise known as 5th street. Your best high hand is a straight 2-3-4-5-6. You also have the Wheel, which is the best possible low hand with A-2-3-4-5. Starting clockwise from the small blind, the final round of betting begins. Players have the option to check or bet. Once a bet is made, players must decide whether to call, fold, or raise. If someone bets or raises without anyone calling, then the hand is over and the bettor wins without revealing their hole cards. If someone bets and another player(s) just calls, we reach showdown and the remaining players must reveal their cards to determine which player has the best five-card hand. Getting quartered in Omaha Hi / Lo means that you only win ¼ of the pot because you have the same hand as one of your opponents. Although it can happen with a high hand, it more commonly happens with the low hand. When playing Omaha Hi / Lo, you rarely want to play a starting hand that does not include A-2-X-X in your hand, or at the least A-3-X-X.